CrownGate is divided into two separate shopping areas and a food quarter; Friary Walk and Chapel Walk. 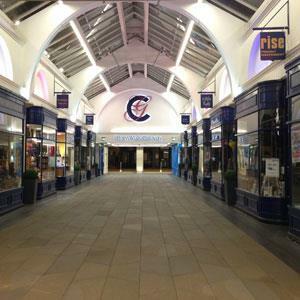 Whether it’s world famous brands, high street names or unique one off pieces, CrownGate has something for everyone. Friary Walk is connected to the City Centre Car Park at CrownGate, Worcester Bus Station and The Hive. 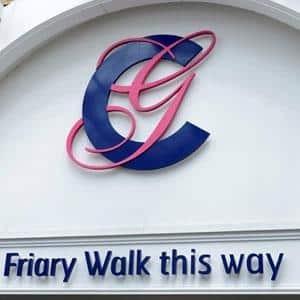 Conveniently located, Friary Walk offers regular shoppers and visitors to the City a variety of stores for all the family, perfect for everyday essentials. With Quinn’s Coffee House & Restaurant and Boston Tea Party, serving delicious home cooked food, you’ll have the perfect excuse to sit, relax and re-fuel for the rest of your shopping trip. 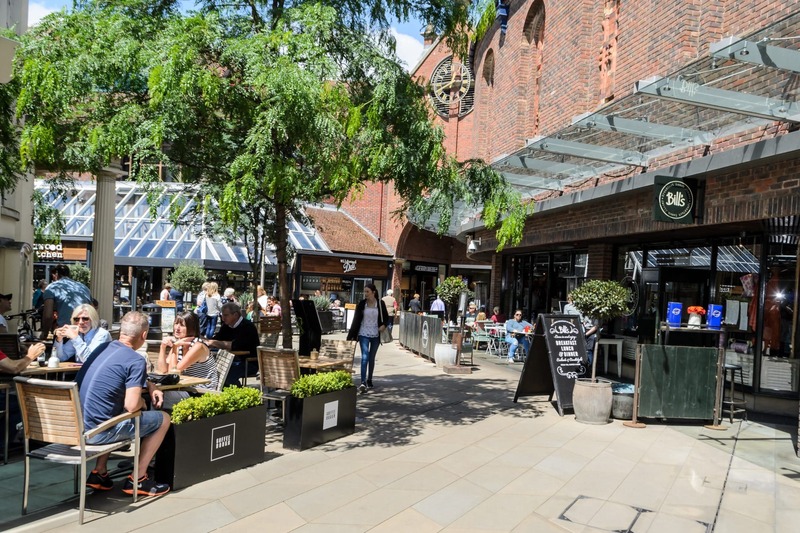 Within Chapel Walk you’ll find the Food Quarter and some of the best loved household names on the High Street, whilst also showcasing a fantastic selection of distinctive independents offering a unique shopping experience. From fashion boutiques for all the family, bespoke jewellery makers and handmade home accessories to stores offering a nostalgic twist with limited edition vinyl and sweets from your childhood. 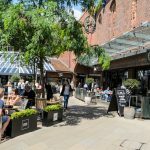 The newly established Food Quarter can be found in the heart of Chapel Walk, offering the largest range of eateries within the City Centre all in one location. From the finest Italian cuisine at Carluccio’s to the rustic, seasonal dishes at Bill’s, both sit alongside Coffee Dough and The Green Room, each delivering their own traditional and contemporary menus, custom blends of coffee beans and teas, accompanied by homemade cakes and pastries, to make your mouth water. You’ll love exploring all the different dishes that you just can’t find anywhere else. Whatever you’re shopping for, you’re sure to find the perfect gift, special occasion outfit or everyday treat at Friary Walk and Chapel Walk. A visit to CrownGate Shopping Centre will keep you occupied from breakfast to bedtime.